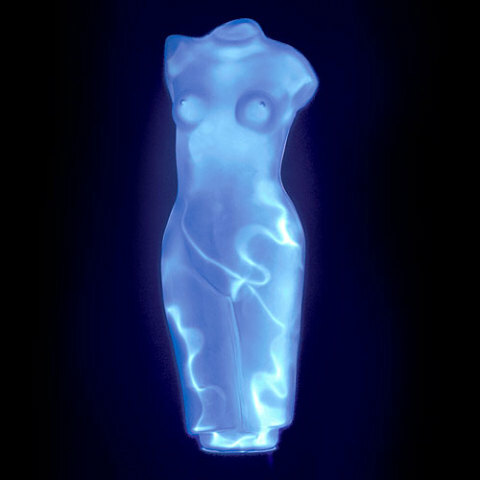 A good size table lamp at 17" high, the Venus Electra is a sculptured blue glass filled with a phosphorescent blue light. Lovely gift for a classical art lover. The Venus Electra is also available in an 11" lamp . 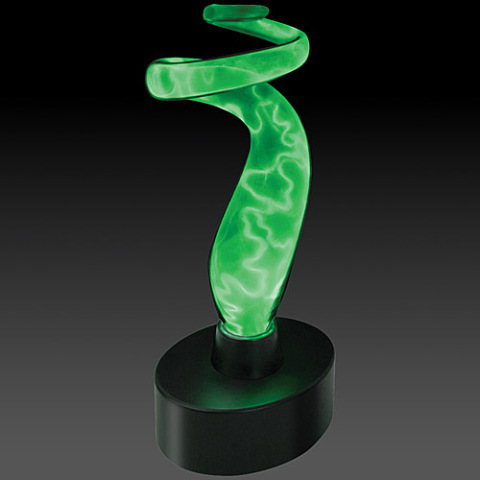 An 18" table lamp, elegantly shaped in glass with phosphorescent light skirting the outline of the form. 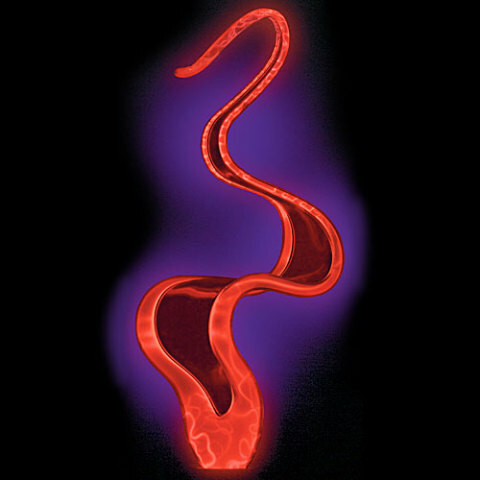 The Ribbon Electra lamp comes in Red/Red , as shown below, and Blue/Red. 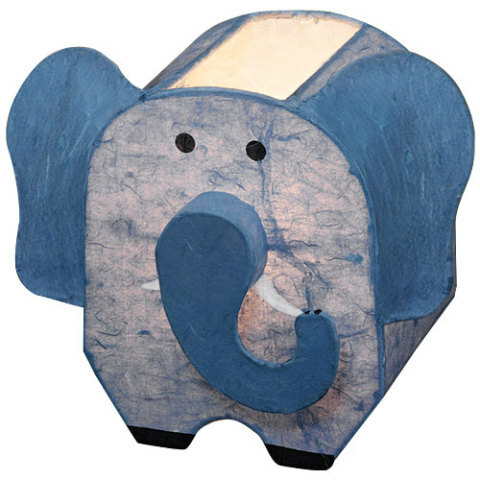 The mini-Ribbon Electra is a 14" lamp, shown here in Blue/Blue. This hand blown glass sculpture makes a splashing accent lamp in most decors. The 18" lamp is available in blue glass with blue phosphor (BB), green glass with green phosphor (GG) (shown below), blue glass with multi-colored phosphor (BV), and blue glass with red phosphor (BR). Also available as a 12" mini-lamp. 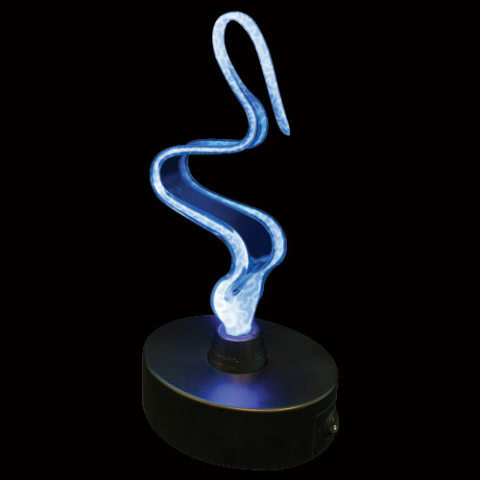 Glass sculptured infinity lamp, Infin-8, has twirling electric arcs within it that are mesmerizing. 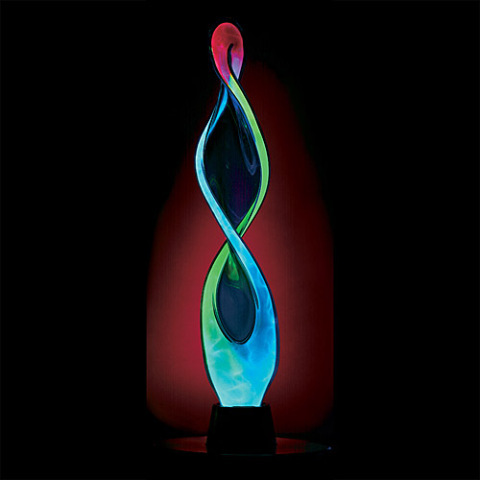 A perfect Zen lamp, the Infin-8 is 22" high and is shown here in blue glass with multi-colored lights. Also available in Blue/Red and Blue/Blue and in Infin-8 mini-lamps. What? A practical lamp? We can all use one from time to time, and this novelty reading lamp is quite delightful... and battery operated, so you can move it from table to desk to bedside easily. 24" tall with a 5" diameter, the Nessie is made for kids, but its nice slick leopard skin makes it work well for bedroom and office reading. Twists in any direction. 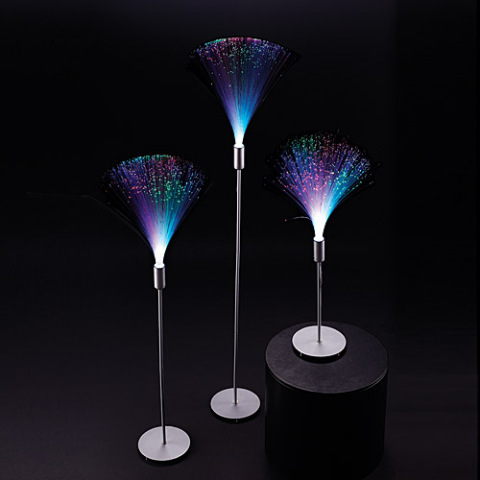 The Fiber-Optic Lamp doesn't come in three sizes; it is adjustable to three sizes, 25", 35" or 45", made possible by adding or removing sections of the brushed metal pole. No one ever tires of fiber-optics and this lamp has hundreds of thin fibers gracefully spread like a soft duster. 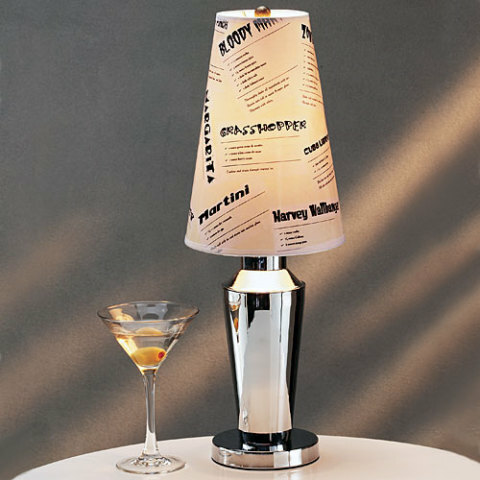 A fun lamp for a bar or the top of a liquor cabinet, the Shaker, by DSK Designs, is a good 22" lamp with stainless steel and chrome base and a coated paper drink recipe shade. 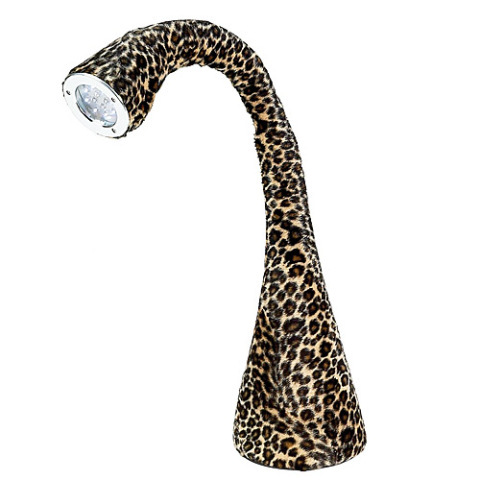 Shade is also available in Leopard! 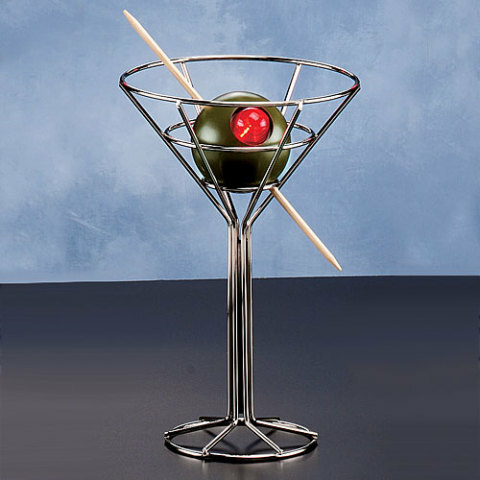 A cute bar or accent lamp (on a shelf, perhaps), the Martini Lamp, by DSK Designs, is a 10" battery-operated lamp that comes with an electric adaptor. It probably makes more of a statement than it emits light, but it's awfully sweet! Kids just love the Night Time Pals, with just enough light to keep them from fearing the bogey man or the other scary stuff that comes at night. There are 15 different Night Time Pals to choose from and "adorable" is just a modest description of them. These kids' Pals are all approximately 8" x 6" x 8" and are made with a metal frame and translucent Kumo paper. The electrical cord set can be removed to use your Pal for lightless decor. Here are Ernie The Elephant and Catie The Cat . 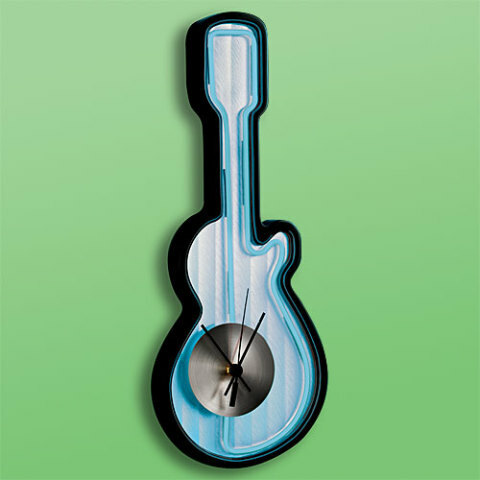 For a teen or one's inner teen, the 19" x 7" neon blue or pink neon wall clock does has it all -- clever design, splashing effect, and even the time! Black plastic frame, light operated by electric cord switch, and brushed aluminum clock is battery operated. 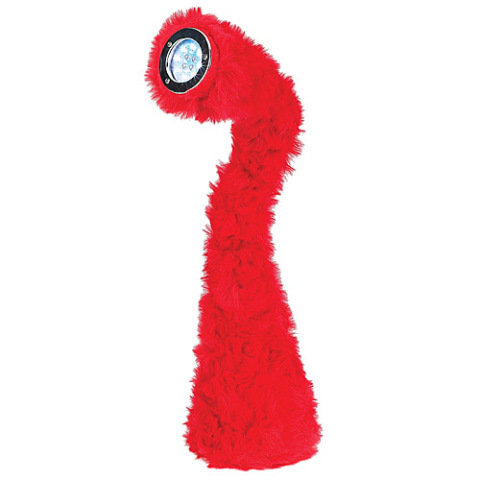 Furry and cute, the Nessies, inspired by the Lock Ness Monster, are great gifts for kids and teens. A flexible neck twists in any direction for reading and doing homework, and there's even a setting for color-changing LED's. 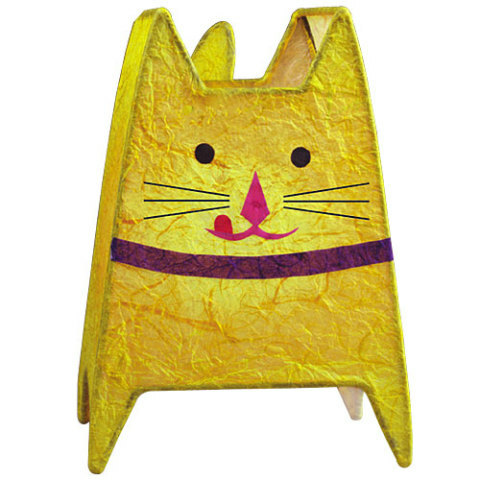 Available in red, black, green, orange, pink, and yellow, this battery-operated lamp is turned on and off by squeezing the head. You can obtain retail outlets for individual lamps by linking here or linking to the individual pages provided above and hitting the Contact Us link.